Wanna know what’s going on in the comic book world(s)? 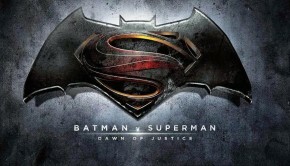 Here is a peek into April’s events planned for the Marvel and DC Universe. 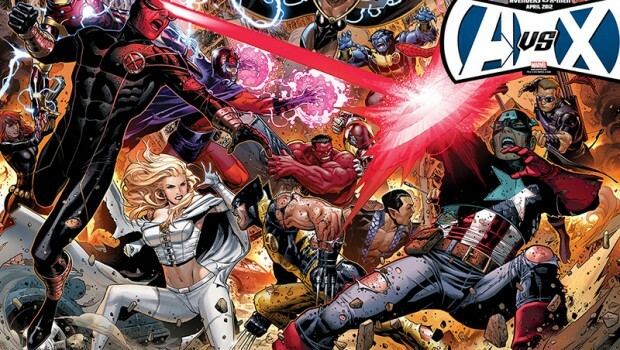 So the main Marvel event coming up this month is Avengers Vs. X-Men. 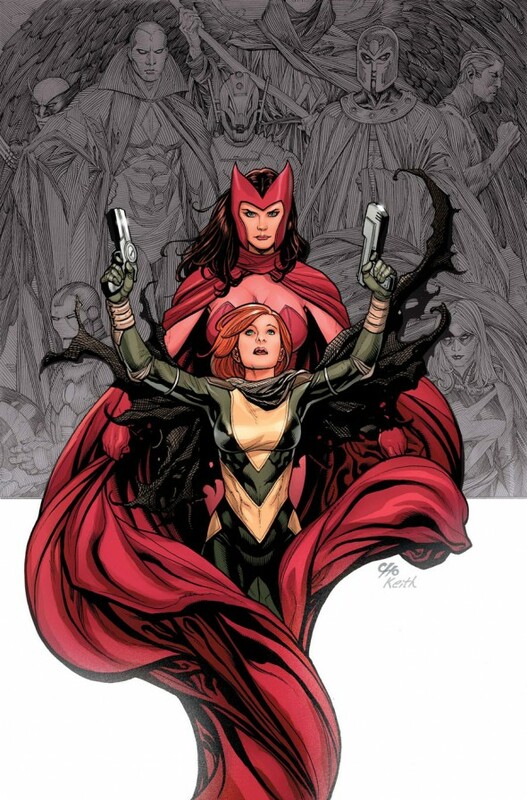 Mutants are an endangered species due to the ex-Avenger, Scarlet Witch – the daughter of Magneto. She created a spell that stops mutants from being born. Enter Hope Summers, the mutant messiah, she was the first mutant born after Scarlet Witch’s spell, giving the mutant race hope. Her powers are kind of the ‘mimicking/absorption’ kind, but unlike Rouge who has to touch other mutants to posess/drain powers, Hope just has to be in the vicinity of mutants to possess their powers. Avengers Vs X-Men is about the Phoenix Force coming back (You’ll find this in AVX #0 OUT NOW) to possess Hope Summers – or this is what both sides predict will happen. 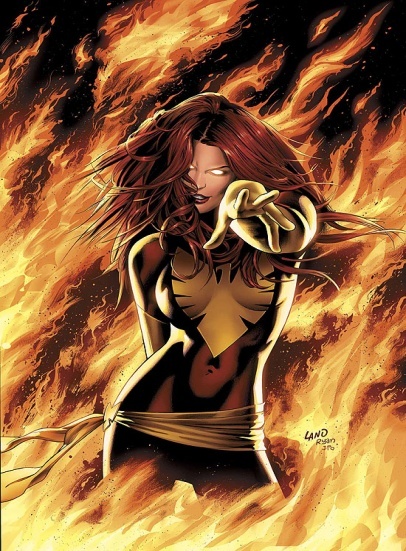 The Phoenix Force, known to those within the mutant community as an Omega Level Power, is this crazy powerful entity that possesses its avatars and wreaks havoc. It pretty much could destroy any and all, they know this because it has happened before with the mutant Jean Grey, who died as a result of the Phoenix Force. This event should be a good one for the X-Men world since the mutants had their own shake up in the Regenesis story arc – the background here is that the X-Men split up into two groups, some went with Wolverine and some stayed with Cyclops. 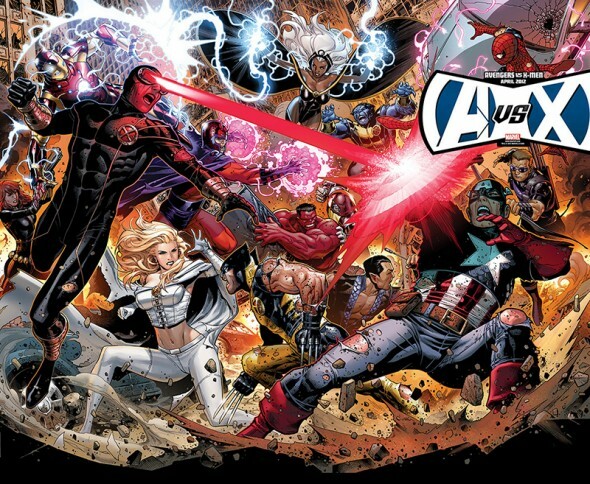 So if you like comics and crossovers or just want to start up on a comic, AVX should be a great story to jump into. 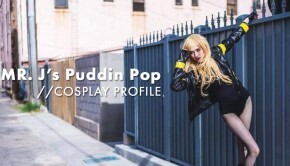 Check it all out online (Apps) or at your LOCAL comic book store (CAB COMICS for those of you in the Northern AZ scene). On another quick note, DC comics just rebooted their whole universe with the ‘New 52’ by rebuilding some of their classic characters, retelling stories, and improving on others. The New 52’s are also a great place to jump into the DC Universe and perfect for anyone new to comics to start. Also, since a lot of the New 52’s are wrapping up their first story arcs, the trade paper backs are set to come out in the coming months (trades are a set of comics that cover a particular story arc, which are usually about 4-6 regular comics, that are combined into a nice little book). So if you don’t want to go looking through back issues, the trades would be a great place to catch up on any comics out there.